Home / Jumpsuits Collection 2019 / Lady Lys Sportswear Jumpsuit.2, Limited Product ! Lady Lys Sportswear Jumpsuit, fit to practice sport together or separately, coupling the top with a beautiful colorful skirt, jogging pants with a beautiful colored t-shirt in the sunny day or to train in sporting clubs or jogging. 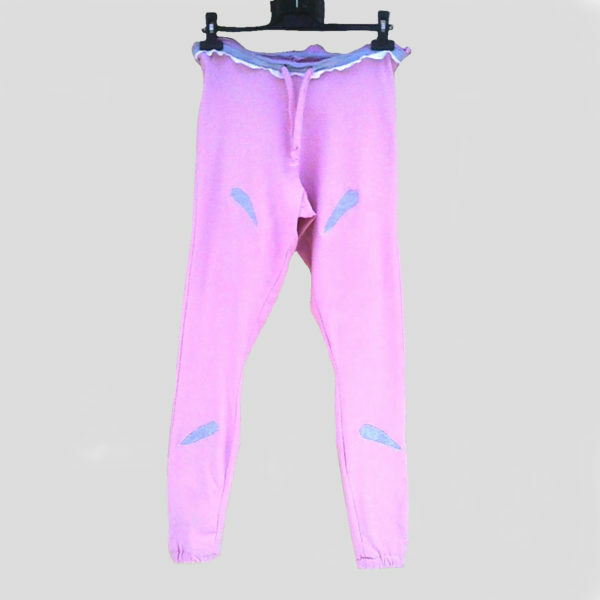 Jogging sportswear Jumpsuit in cotton and elastane pink, light gray and lined with white lace on each end of the top and at the neckline. On the lace at the bottom of the top, small holes to add, small satin ribbons or other materials (they are not supplied with). 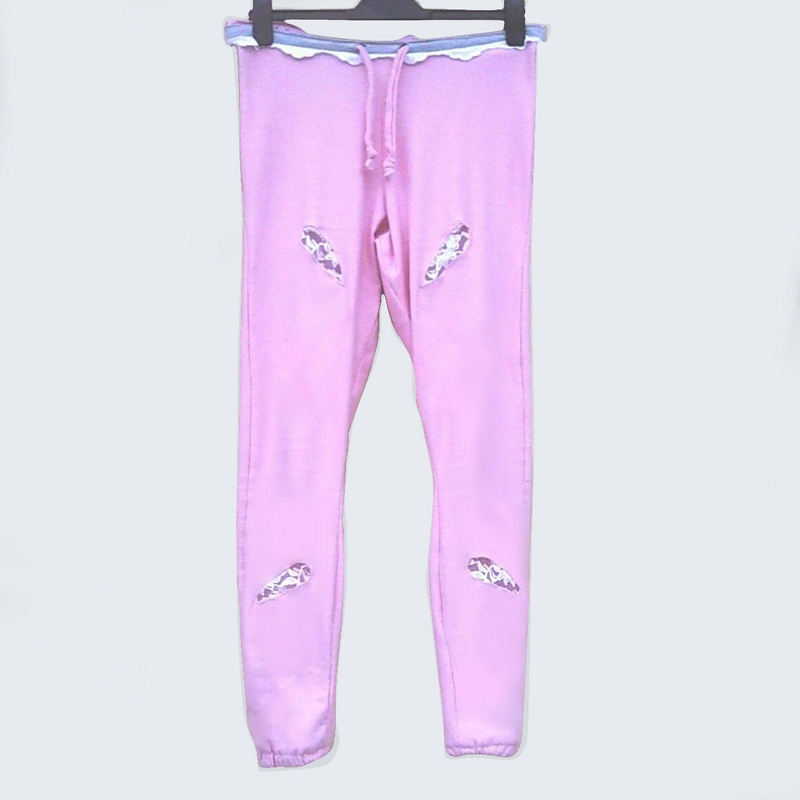 The jogging pants has a white lace-shaped petals around the belt below. Some comma-shaped patterns, gray (possibility of jogging with 4 or 8 commas in gray or lace) are sewn in several places in front of and behind the jogging pants. These patterns are larger behind the jogging pants than front. 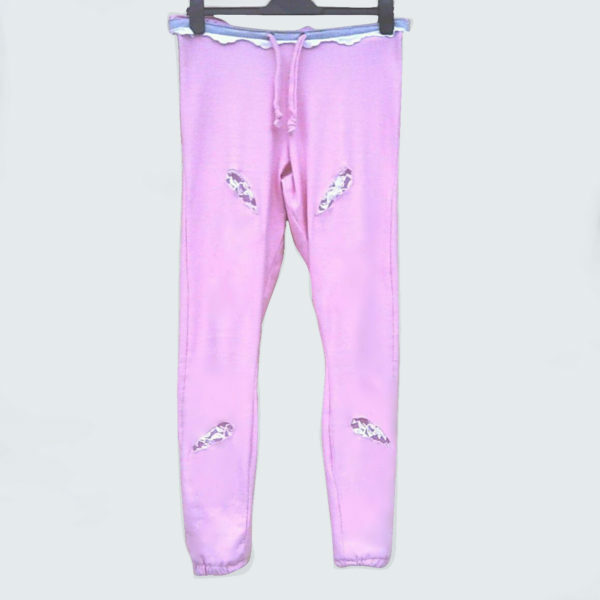 The top and the pants can be worn together and connected together by a zip fastened in the lower back, and can be transformed into a sportswear suit or can be worn separately.